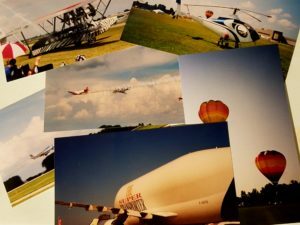 The mecca for all pilots and aviation enthusiasts, EAA AirVenture Oshkosh, is just around the corner! Commonly referred simply as “Oshkosh”, the popular week-long experience has been a summer staple since 1953! With countless volunteers, vendors, and attendees, the word “Oshkosh” brings up many years of memories. 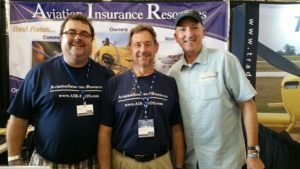 This will be the 38th consecutive year that pilot and Aviation Insurance Resources (AIR) founder, Jon Harden, will be joining the annual Oshkosh celebration. Since 1981, Harden has strolled the grounds of Wittman Regional Airport the last week of each July. He fondly recalls the days of Oshkosh past, shooting pool with airshow performers after the show at the Acee Deucee Lounge. In 1989, towards the end of the Cold War, Harden was in awe as he watched Soviet pilots taxi in the world’s largest cargo plane, the Antonov AN-124, onto display. “The pilots were excited to talk with fellow airplane buffs, they were great guys,” Harden remembered. The Antonov is also etched into the memory of AIR agent John Sweeney who has attended Oshkosh 27 times! Sources say that he may have bribed the aircraft guards with free hats to get a tour of the cockpit. One year, a very unexpected fly-by from a Boeing B-52 Stratofortress got his heart pumping. While the aircraft are always exciting for Sweeney to see, meeting his clients face to face is what keeps him coming back each year. Vice President of AIR, Christ Wolbert is about to embark on his 19th journey to Oshkosh. His first trip he recalls was “very, very, hot” but was excited to be amidst it all. Last year, Wolbert was truly impressed by the dozens of B-25s that gathered in celebration of the 75th anniversary of the Doolittle raid and looks forward to seeing what anniversaries will be commemorated at Oshkosh this year. AIR looks forward to seeing these guys each year! AIR agent Victoria Neuville wouldn’t be a pilot if it weren’t for her visits to Oshkosh. Introduced to the show as a young child by her pilot father, she would grow up renting houses just outside of town and spending many days under the sun exploring aircraft with her father, and sometimes her whole family. This year, Victoria will be bringing her new-to-her campervan and will be staying in Camp Scholler for the week. “I love camping out, but I was done with tents after the year mine was destroyed by a storm and all my clothes and sheets were drenched!” Victoria declared. For former Wisconsin resident, Gregg Ellsworth, Oshkosh is a homecoming. 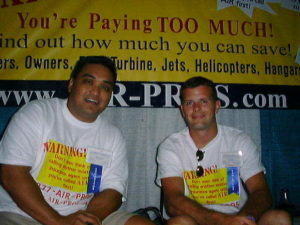 He splits his time between visiting family and friends and meeting with insureds at the AIR booth. A graduate of Embry Riddle Aeronautical University, Ellsworth enjoys visiting with old college buddies at the show who are now airline pilots. This year will be no different for him. “Oshkosh is more like a vacation to me than work. It’s because I get to spend quality time with family and friends while being immersed in things that I love! We also have branch offices around the country and this is often the only time each year that we get to catch up in person.” he said. Ellsworth never tires of the warbirds he sees fly into the show each year. The annual gathering certainly doesn’t feel like work to the pilots and agents of AIR. 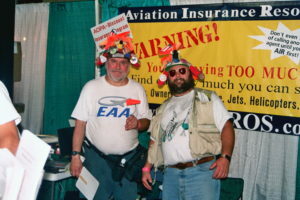 They will happily be available in Hangar A, Booth 1120 throughout the week of Oshkosh to answer your aviation insurance questions or just to hangar chat. To learn more about AIR’s Oshkosh plans or to request a quote call 877-247-7767 or submit a quote request online today!